Budapest (AFP) - Hungarian Prime Minister Viktor Orban has apologised to European conservative parties for calling them "useful idiots" over an anti-EU billboard campaign that could see his party ejected from the European Parliament's dominant centre-right EPP bloc. "(Orban) has sent a letter of apology to the European People's Party (EPP)," a government spokesperson told AFP Thursday. But a source close to Manfred Weber, the bloc's leading candidate to replace European Commission President Jean-Claude Juncker later in the year, said more than a letter of apology was needed. "The letter and the apologies are a beginning, but they should go further. These gestures are not enough to re-establish confidence," the source said. Petteri Orpo of Finland's Kokoomus, which is opposing Orban, confirmed he received the letter, but said on Twitter, "At this point, letters will not help. Fidesz should show its commitment to the EPP by its actions." In a newspaper interview earlier this month, Orban called critics within the EPP "useful idiots" and accused them of helping the group's leftwing and liberal opponents ahead of European Parliament elections in May. "I would hereby like to express my apologies, if you found my quote personally offensive," Orban said in his letter to the Belgian Christian Democratic & Flemish (CD&V) party, which was published by the De Standaard newspaper. 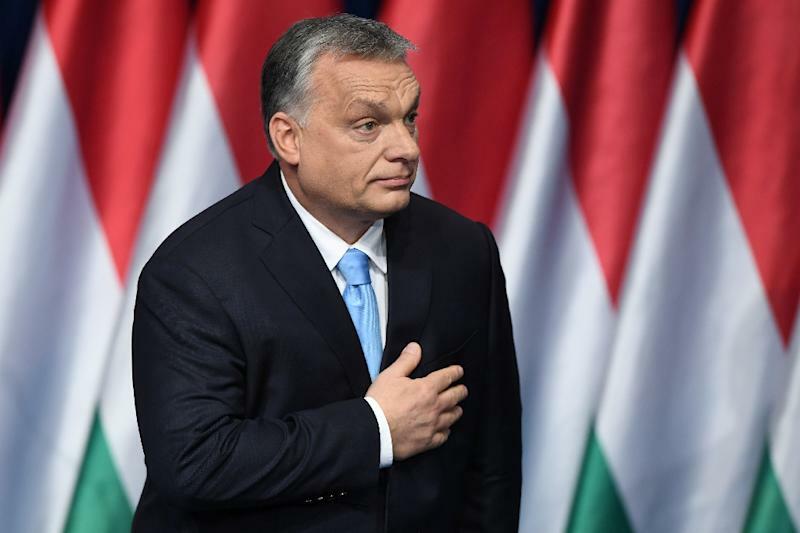 The letters were sent Wednesday to leaders of 13 member parties of the EPP who have proposed expelling Orban's ruling Fidesz party from the bloc, Orban's press chief Bertalan Havasi told Hungarian newswire MTI. In the letter, Orban asked party leaders to "reconsider your proposal for expulsion". While Fidesz "do not wish to change our own position... on the issue of migration, the protection of Christian culture and the future of Europe", disagreements should not be solved by expelling a party "from our political family", he said. The controversial billboard campaign accuses Juncker and liberal US billionaire George Soros, a bete-noir of Orban, of plotting to flood Europe with migrants. Similar messages have appeared on television and internet websites while Orban has also sent letters to households nationwide that attack Juncker. Juncker did not receive a letter of apology from Orban, said European Commission spokesman Margaritis Schinas, adding that Juncker stood firm in his position that EPP members must respect the group's "basic values". A decision on the future membership of Fidesz will be on the agenda at an EPP meeting on March 20, according to Weber. Weber met Orban in Budapest on Tuesday and called for the populist leader to apologise for the campaign. "We had talks in a constructive atmosphere but problems are not yet solved," Weber told reporters. Weber has demanded that Orban meet three conditions for Fidesz to remain in the EPP, including withdrawing the anti-EU campaign, and apologising to EPP member parties. The anti-Juncker campaign had "created a burden and damage to the EPP," Weber said last week. Weber also wants Orban to let the CEU university founded by Soros stay in Budapest. The government said it would stop the anti-EU campaign by Friday but the messages were still visible Thursday in newspapers and on internet sites.